Hello and welcome back to the third instalment in my product showcase article series! 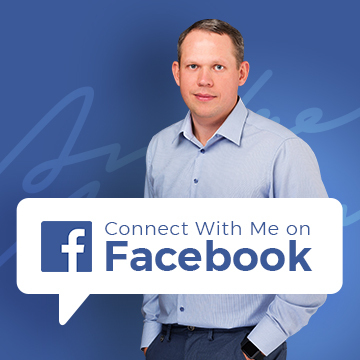 After starting off with my maiden course, Easy Auction Business, and moving on to its hugely successful follow up, eCommerce Magnates, it’s now time to cover my flagship product – a one to one coaching program called 60 Day Blueprint. I say flagship because this is something quite different to all of my other products. While both Easy Auction Business and eCommerce Magnates are pre-created video courses, which you watch at your own leisure, 60 Day Blueprint is a personal coaching program in which I work directly with clients on a one to one basis to help them create a successful eBay business from scratch. But, let’s go through things step by step, using the same format as in our previous product showcases, so that you know how this program was created, who it’s for, how much it costs, and everything else! After the huge success of the first release of Easy Auction Business, I received a large amount of emails from people requesting a personal mentoring service, where I helped with all of the individual decisions that need to be made when creating an eBay business. Initially it never even occurred to me to create such a program, so I catered to the demand by offering individual chat sessions for people who wanted my advice on specific topics. But it soon became apparent that this wasn’t a viable way of doing this, as I really needed to guide people every step of the way. It wasn’t just about getting their questions answered, as all EAB members have unlimited support from me, it was more about creating a full mentoring program where I’m there to help every step of the way – a “hand-holding” service so to speak. And that’s exactly how the first round of 60DBP was done, way back in 2008. I say round because I used to take people on in bi-annual groups, one in spring and one in autumn. There was a cap on the number of people in each group, depending on how much time I could devote to this (usually 5-10 people) and it sold out every single time, with a huge waiting list of people who also wanted to get in. Once I saw how effective and in-demand this type of training was, I upgraded the program and started offering it year round, as it was a lot easier for me to deal with 2-4 at a time, rather than 10 in one big go. And that’s pretty much the model I have stuck with to this day. First you contact me and give some background info on yourself, your situation, and your business goals, so I can advise whether or not you’re suitable for the program. If you are, then we’ll schedule a start time, based on availability and your preference. Once the start date comes around, I give you a special questionnaire to fill in. Next we schedule our first chat session! Here we’ll delve into your situation in much greater detail and create an action plan for the next 9 weeks! Then we have another 1 hour chat session each and every week, both to evaluate the progress made so far and also to set you tasks for the week ahead. Week 1 & 2 – you’ll fill out a special questionnaire (experience, skills & interests, available investment etc.). You’ll receive a special report, written by me – ONLY for 60DBP participants! We’ll schedule our first Live Chat session in which we’ll talk through the best niche & products for you to work with. You’ll be able to choose from more than 50 niches OR we can research a new niche OR if you already have a niche, we can start on that. Week 3 & 4 – during the 3rd & 4th week, we’ll research suppliers, shipping options, distribution, stock management and process automation! Week 5 – once the supplier is found and an initial sample order is placed, we’ll start to work on creating your brand, USP, and logo. Week 6 – we’ll work on creating an amazing eBay template that really sells your products! Week 7 – create & format listings, set up your eBay Store, Selling Manager Pro & other bits & pieces. Week 8 – first sales, your marketing strategy, SEO, and back-end work. Week 9 – long term plan, keyword research, eCommerce opportunities, affiliate programs & traffic generation strategies. Of course each and every situation is different and the whole point of 60 DBP is that it’s personalised for you individually, so this is just the starting guideline for the program schedule. 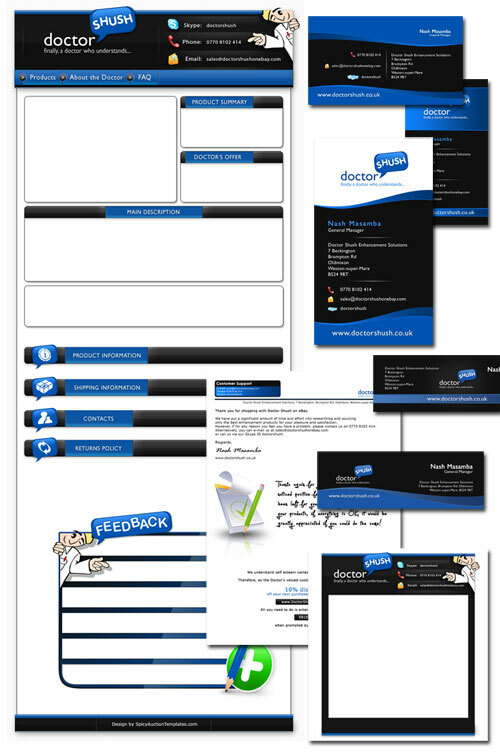 All the chat sessions are done via my web based software, which means you don’t have to download or install anything. Also, all chat transcripts are saved and emailed to you so that you can refer to them whenever needed. The program is called 60 Day Blueprint because that’s the minimum amount of time you’ll need to complete it properly – but usually it will take a while longer, especially if we decide to import from China using sea freight. But of course you don’t have to worry about losing or wasting chat sessions during periods of inactivity, as you are not forced to use them week by week! If we have to wait 4 weeks for your goods to arrive before you need another chat session, then that’s perfectly fine, we can simply communicate via email for a while and resume our chat sessions when you’re ready to proceed. Also, even though most of our communication will be done via live chat sessions, we will of course also keep in regular contact via email – you get my full, unlimited support both during the course as well as after it’s ended! The price for this premium coaching program is £1997. I know some of you will initially be taken aback by this figure, but please understand that this isn’t a video course that I created and can sell to hundreds of people to recoup my costs. This is a personal coaching program where I work with my customers on an individual basis, and it really does take a lot of my time and energy. And that’s not the only reason – I’ve actually had to increase the price of this program several times simply because the demand was so high! If 60 DBP was £500 or even £1000, it would be literally impossible for me to satisfy the demand, and that’s why the price is what it is. Even at £1997, this program is booked up 1-2 months in advance, sometimes much more (which is why you may have noticed it’s often unavailable to sign up for, as I have to limit purchases somehow). Similar programs, in the US for example, commonly cost $5k – $10k so with that in consideration, my fee is actually extremely reasonable, particularly when you think about the bonuses I include for free (more on them a bit later). 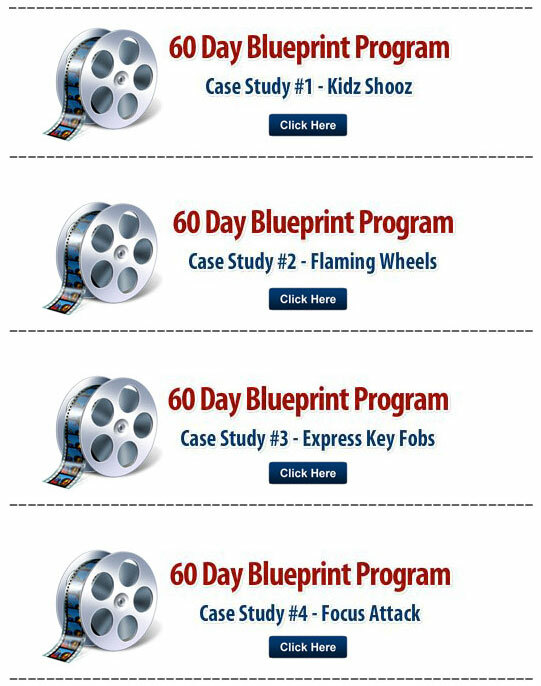 I have been offering 60 Day Blueprint for 8 years now, and I can honestly say with complete confidence that my experience and expertise are easily worth the price of the program. There are so many mistakes you can make when starting a new business, and just one of them can end up costing you much more than £1997! And yes, I do mean it when I say a single mistake – things like choosing the wrong product, supplier, or even brand name. Of course I do understand that for many people £2k is just too much, regardless of how much value the program provides, and that’s not a problem! After all, I have Easy Auction Business available for a bargain £67, and 60 Day Blueprint caters to a different market – to those who truly value my expertise and experience and want to use them for their own business. And honestly, it’s hard to put a price on that! I think you already know the answer to this question by now… YES, you do get bonuses – some highly valuable ones, in fact! Normally this pack costs £397, and that is already a special price for my customers, but those who join 60 Day Blueprint get it for £0. That’s right – you get it completely for FREE! 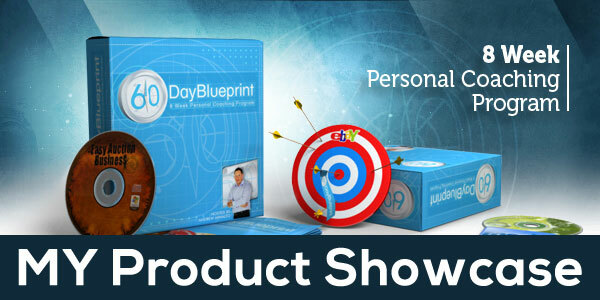 Easy Auction Business, Ecommerce Magnates, Spicy Auction Templates… you name it – they’re all yours free of charge when you join 60 Day Blueprint. And that means lifetime access, exactly as if you’d bought those courses individually. And this also applies to any future courses I create. 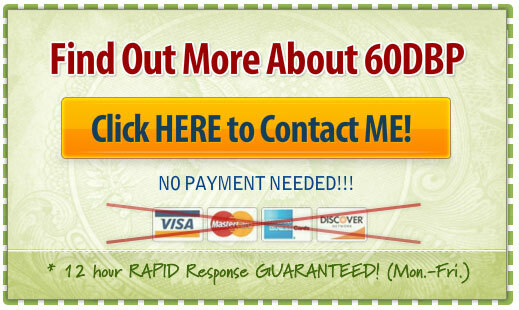 60 Day Blueprint basically gives you a VIP, total access card to everything I create, now and in the future! The last thing I want is for my 60 DBP customers to get off to the perfect start but then make a mistake somewhere down the line that negatively impacts their business. And that’s why I will always be available to offer you help and advice when needed! These 3 bonuses alone easily cut the price of the course in HALF! As with any start-up business, the more money you have, the better! In terms of a minimum starting amount, being realistic I wouldn’t suggest signing up for 60 DBP if your total budget is £2500 or less, as that would only leave you with £500 for stock after paying the program fee. In situations like that I would just suggest buying my Easy Auction Business video course and then utilising all of your £2500 directly in the business. So all things considered, a healthy start-up budget would be in the vicinity of £4k-£5k as that means you have at least £2k-£3k to spend on stock. Over the years that I’ve offered this personal mentoring program, I’ve worked with budgets of £300 (back in the early days) all the way up to £50k+, and I don’t have to tell you that there are some significant advantages when your budget is in the tens of thousands. You’ll have a much wider choice of products and niche, your margins will be higher as a result of your buying power, and overall you’ll see progress at a significantly faster pace. It generally follows that the smaller the budget, the slower the growth, but if you keep working you will always achieve the goals you set, it might just take a little longer. How much time do I need to put into this? Once again this really is dependent on your personal situation and goals, but I will say that the typical 60 DBP customer has a family and a full-time job, so there’s no question that this can’t be done alongside that, working just a few hours a day during the week and more on the weekend. There are of course individuals who are retired or simply not working at the moment, and this is perfect as they can devote much more time to this and progress is therefore a lot faster. But in terms of the question from my end – I’m very flexible! If you feel you can make it work during certain hours, then I’ll help you to achieve that. Really the only occasion that I’ve had to refuse the program to some people is when they can’t allocate any time to it during the week, and want to do everything on Saturday and Sunday. This just makes things too difficult, especially when you get to the point of needing to dispatch orders on a daily basis. I’ve also found that partnerships can be extremely effective! So if your partner is a stay at home Mum or Dad and they’re interested in helping you out, then terrific, as in some way’s that’s the ideal situation. As already explained in the EAB & EM showcases, it’s basically impossible for me to accurately answer this question. Patience and hard work are probably the most important as too many people give up when they are so close to achieving their goals. You just can’t expect to build a business that generates a full time income in 2 weeks’ time, working an hour a day. If it was that simple, then everyone would do it! 60 DBP is NOT a get rich quick scheme in any way, and I want to make that perfectly clear. The idea is that by the end of the course you have a live eBay business that is up and running and making sales, built on a rock solid idea and foundation. After that, it’s all in your hands! Your business can be as big as you want it to be, provided you’re willing to work at it. Is this only for eBay? Initially 60 DBP was created solely for eBay businesses, and a few years back I was fairly strict with that. However with the release of eCommerce Magnates, I’ve also started tailoring 60 DBP to people who want to build their own online store. 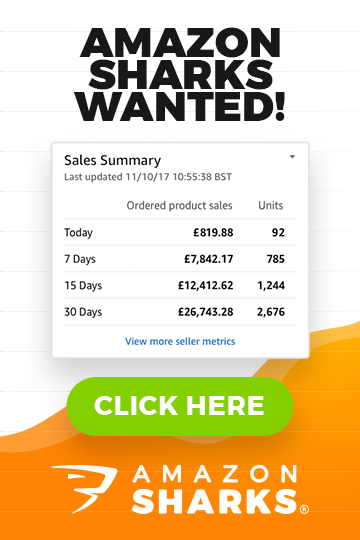 This could be because you already have an eBay shop up and running, or you’re unable to create one for some reason, and in that case we can instead work on creating a profitable ecommerce business for you. I’m extremely flexible with all of this, and more than happy to structure the program around you and what you want to achieve. A number of my customers have signed up for a second round of the program, to focus on expanding from eBay to their own online store, so as I said – I’m happy to tailor this for each individual (after all that’s the whole point!). Feel free to get in touch with me if your situation is unique and not covered in this post, as we can discuss the best way to make it work for you. As mentioned earlier, I only take on a very limited number of people for this program (2 a month), which means there’s usually some sort of waiting list to join. If you don’t hear from me within that timeframe, then it’s most likely because my reply has ended up in your junk mail folder. This is quite a common occurrence with Yahoo and MSN, though Gmail is much better. Once we establish a starting date for your program, I ask you to pay a £500 deposit to secure your place, with the remaining £1497 due at the start. I had to introduce this deposit system to be 100% sure that people who are reserving their place fully intend to use it. After all not only is it unfair to others who might miss out, it also hurts my income as well. So I think this is the fairest solution for everyone involved. And that’s about it for this product showcase! I get a lot of questions about 60 Day Blueprint and how it differs from my other programs, so I hope this has cleared everything up. If there’s anything I haven’t covered, then please feel free to post below in the comments section or email me directly if you prefer.